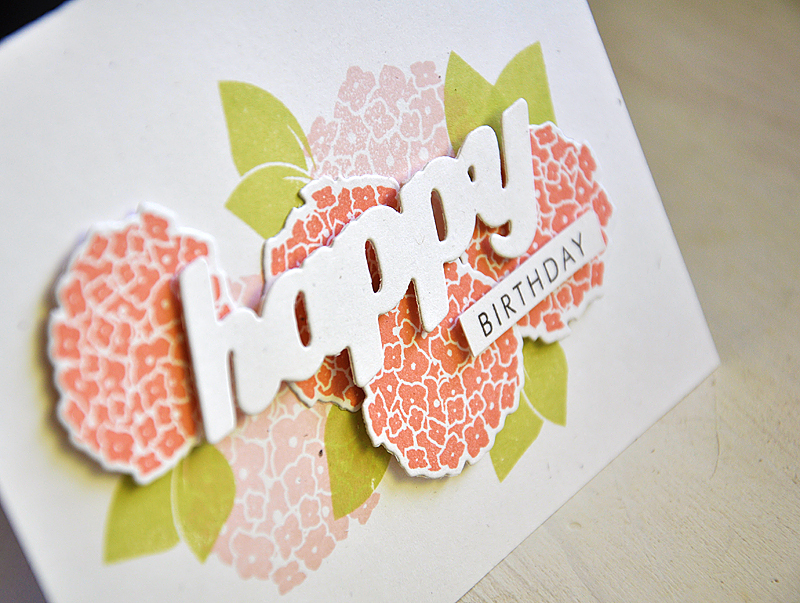 I'm back this month with a new stamp set for the May Papertrey Ink release, I'm happy to introduce to you... Happy Hydrangea. Happy Hydrangea is a clean, classic and traditionally styled hydrangea set. This set features 12 different hydrangea images and elements, 1 oval frame, 1 bow and 4 fitting sentiments. To top it all off... a set of 4 dies coordinate beautifully with the set. 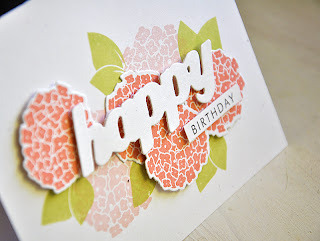 Happy Hydrangea stamp set will be sold for $24, beginning May 15th at Papertrey Ink. Next up, I used the hydrangea stem image. I carefully inked up the blossom and stem﻿ using different inks, some using Spring Moss and Spring Rain and others in Spring Moss and Winter Wisteria. 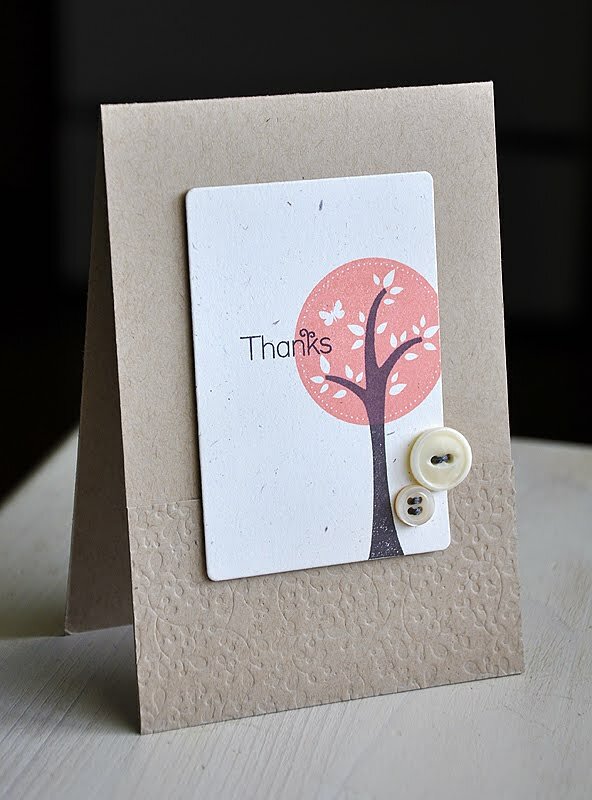 Then stamped them along a Rustic White card base. 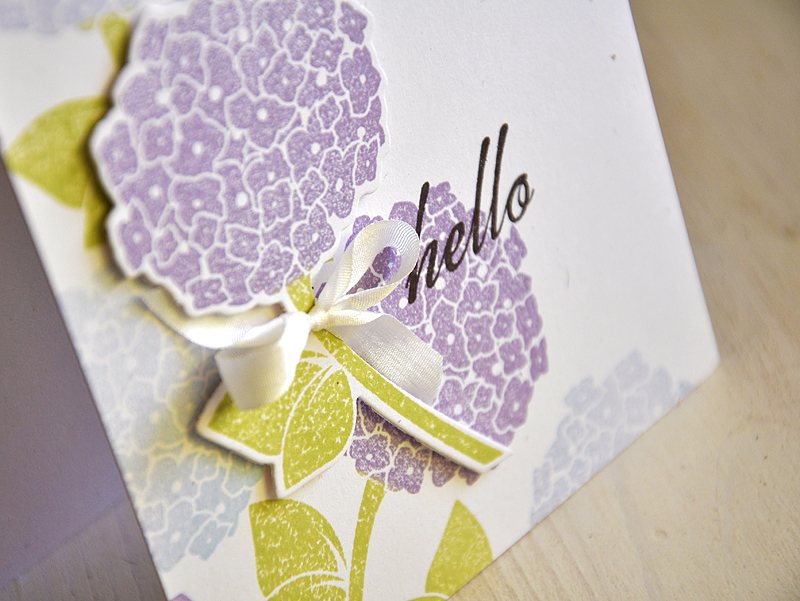 I then die cut and stamped one final hydrangea stem, wrapped it with a ribbon bow and attached with dimensional adhesive. Finished the card off with one of the Happy Hydrangea sentiments, stamped in Smokey Shadow ink. That's it from me today, but I've still got a lot more to share! So, I hope you'll join me for the remainder of the countdown! Now, be sure to visit Nichole Heady and Besty Veldman for peeks at Flipping Out. Also, Heather Nichols & Melissa Bickford have peeks to share with you of their newest sets for the month. Wauw, Maile! You surely didi it again! This set looks gorgeous! 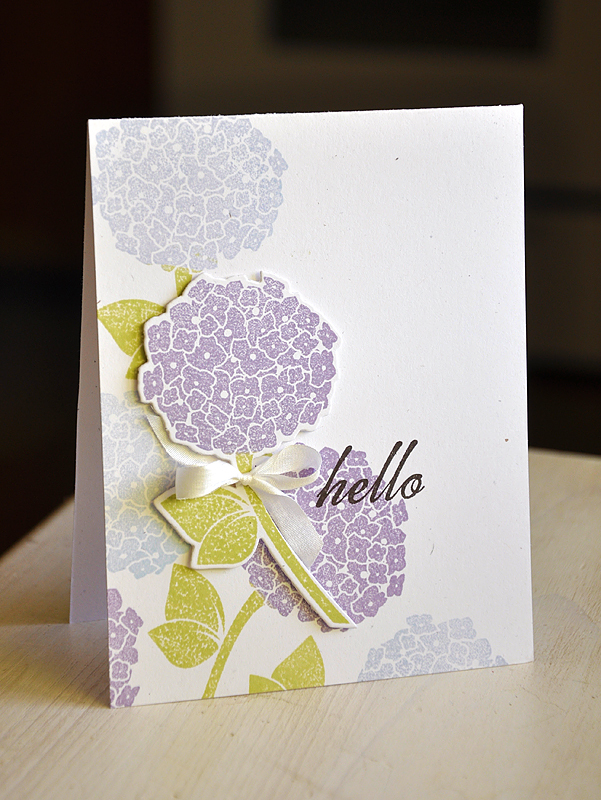 I immediately had apiece of design paper in mind that I loved, using a hydrangea. It has colors similar to your second card, so it would be sooo great to play with these!! And create my own DP! Love your cards, so pretty!! Beautiful!! Love the hydrangea images and the card with the purples is so lovely! Love, love, love your new stamp set Maile!!! Hydrangeas are my favorite! Saw the preview and knew I had to have this set!! Stunning images and colors! You always delight! Looking forward to the next post. Totally gorgeous, totally you, Maile and so my favorite flower of all!!! You've made this set completely irresistible. Beautiful cards, Maile! Happy Hydrangea will be going into my cart for sure on the 15th-- what a gorgeous set! And Pretty Peonies dies? You've just totally made my day! Love hydrangeas! Can't wait till the release date...Great cards! Your cards are so beautiful!! Love the hydrangea! I definite must have for me. Hydrangea's are my fave... my daughter buys me one every year for Mothers Day and now I have a huge Hydrangea garden in the yard! Love this set! Can't wait to own this set! LOVE your cards, Maile! And I'm totally getting this set! And Pretty Peonies dies??? Yay! Love these card designs!!! They are so beautiful!!! Very elegant set! And I love hydrangea blossoms and how they vary in color as they bloom. Your cards are lovely as always! This has gone straight on my wish list from the minute I saw the initial preview, love it more know I've seen it i action, a must-have! Beautiful!! Love the HAPPY - I must have that die!! 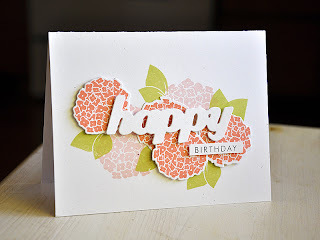 Beautiful cards as alway Maile! I love masses of hydrangeas- love the way this set captures them. Maile, your hydrangea set is adorable, and dies for Pretty Peonies will make a lot of PTI followers very, very happy. Your cards are adorable as always. Great color choices! Great cards. You are very creative. thanks.